Extravagant wedding trends are a thing of the past. Modern weddings are all about making savings, and there are loads of ways to save on your wedding decor. These don't have to be boring. 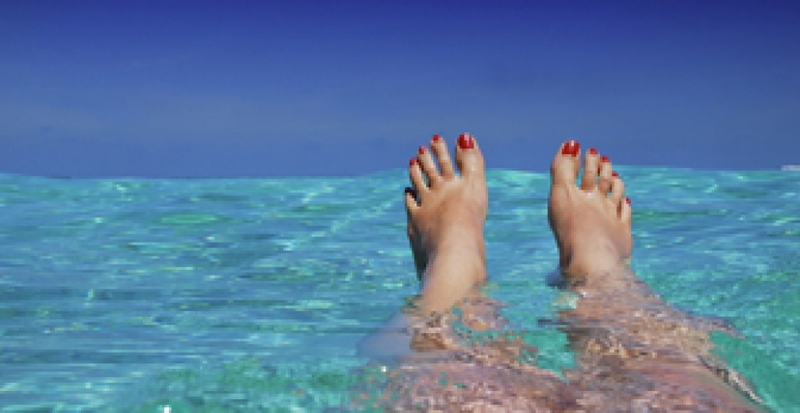 By thinking creatively and being willing to DIY, you'll be surprised what you can do. 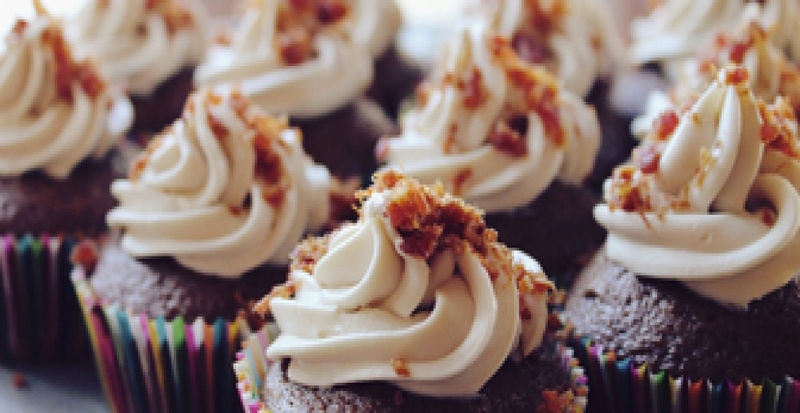 Best of all, they're all low-cost and easy to recreate. Consider some of the following, ways to save on your wedding decor to get a breathtaking day at a budget price. We love IKEA for our living rooms. We love IKEA for our kitchens, why not love IKEA for our wedding, too? Many of their products make sublime centrepieces just as they are. With most things coming in at under a fiver too, these wedding decorations certainly aren't going to break the bank. 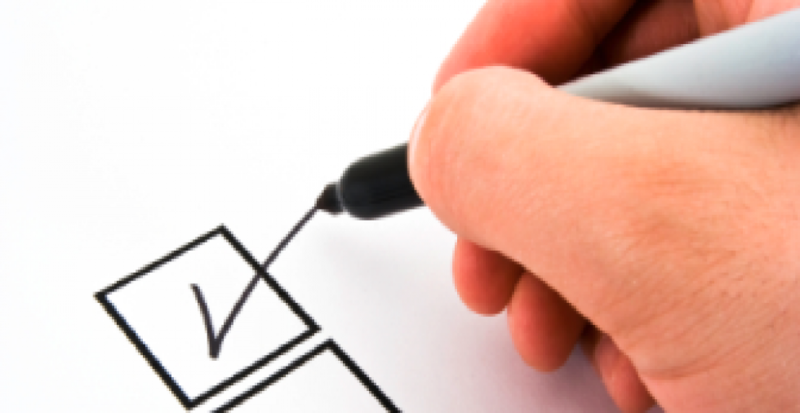 If you want to go a step further, there are lots of simple ways to customise your purchases. A bit of spray paint and cheap additions can help cater these low-cost decor items to your theme perfectly. One of the first steps in planning a wedding is deciding on a theme. If you're tight on budget, a cost-friendly option is a rustic look. Rustic basically translates as sophisticatedly shabby. It means things don't have to be perfect - they can look a bit basic, natural and DIY. In fact, often the less refined, the better. Far from looking scruffy or cheap, when done well, it's a beautifully simplistic look. Keep reading on for some interesting ideas to enhance your rustic theme. Real flowers can cost an absolute fortune. 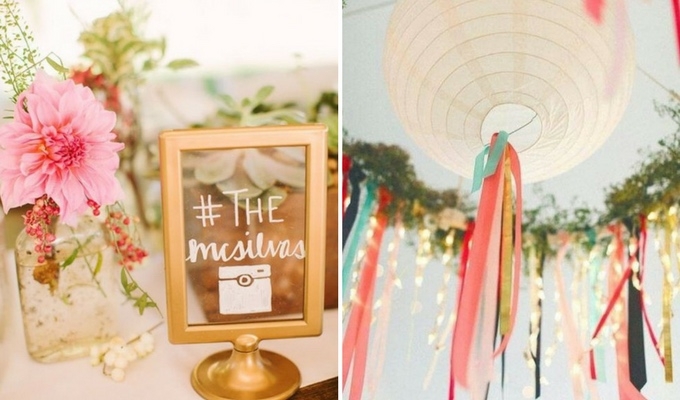 If you're looking for ways to cut costs on your wedding decor, why not try fake ones? 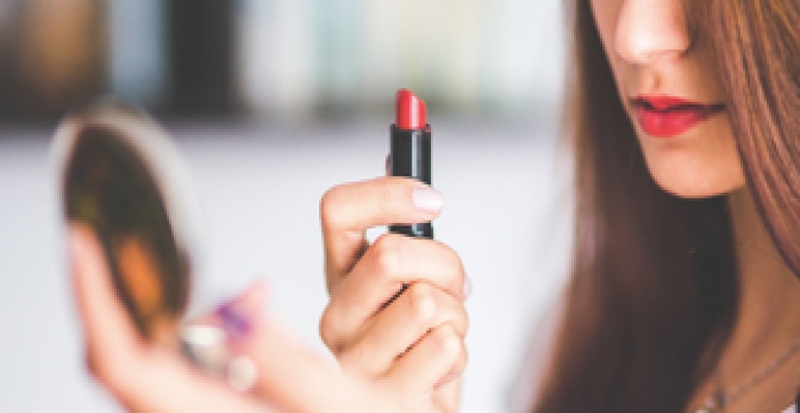 There are so many simple tutorials around that will teach you to DIY your own. 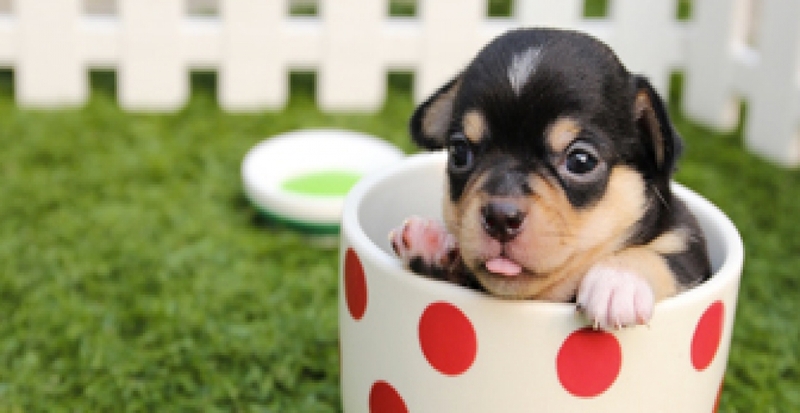 Often using tissue paper, or even coffee filters as seen above, they're really low budget. Not only this, but they can be made ages in advance, reducing that last-minute wedding stress. 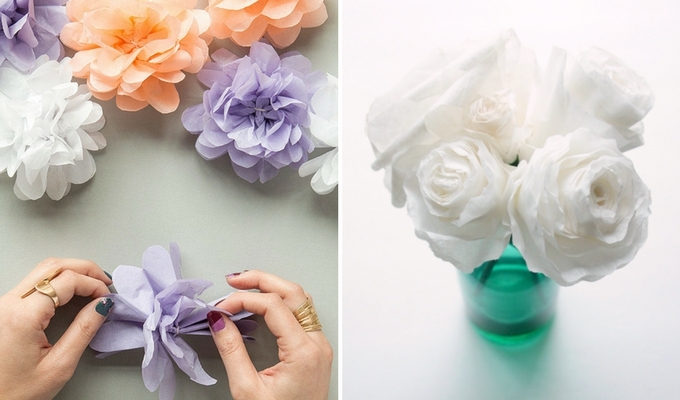 The benefits of paper flowers really are endless: they're cheap, easy, and their stamens won't cause any pesky stains. Why not give them a go today? A picture says a thousand words. There's nothing more intimate than sharing some of your favourite family snaps on your wedding day. 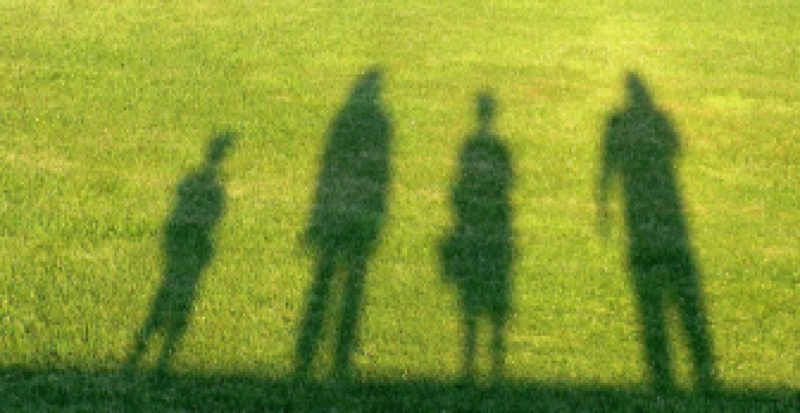 Your guests will love getting an insight into your journey as partners - it may even bring a tear or two to their eye! 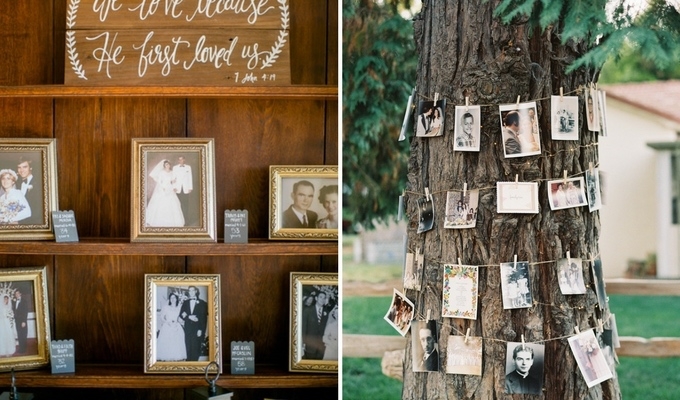 Photos are also super, low-cost decorations. You can simply take them straight from shelves around your home, or use them to create bunting to adorn your location. So, flowers may push your over budget, but nature in general could really help reduce costs. 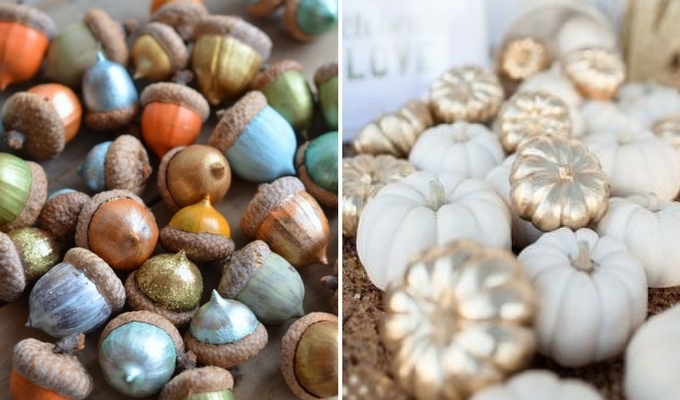 Leaves, pinecones and even feathers can be used in a multitude of ways to decorate your day. Best of all? These aren't cheap things, these are FREE things. 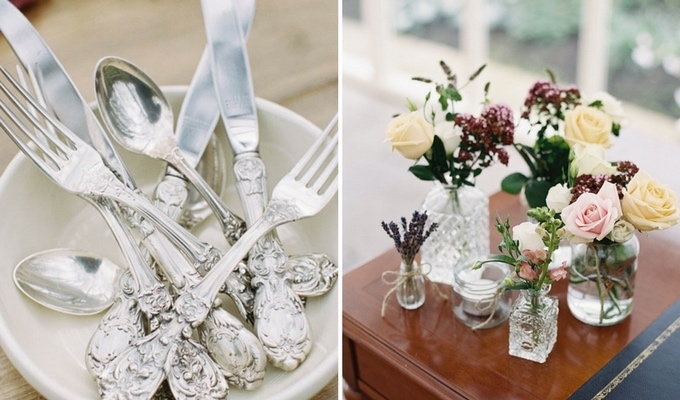 You'll be surprised how beautiful natural items look when placed in a new setting. 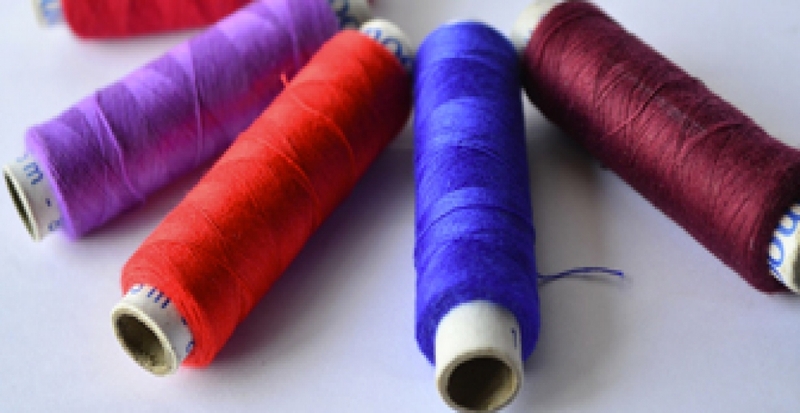 With a bit of time spent adorning them, you can create something truly special. The above place cards really do show that you don't need to spend a fortune to have a beautiful wedding. 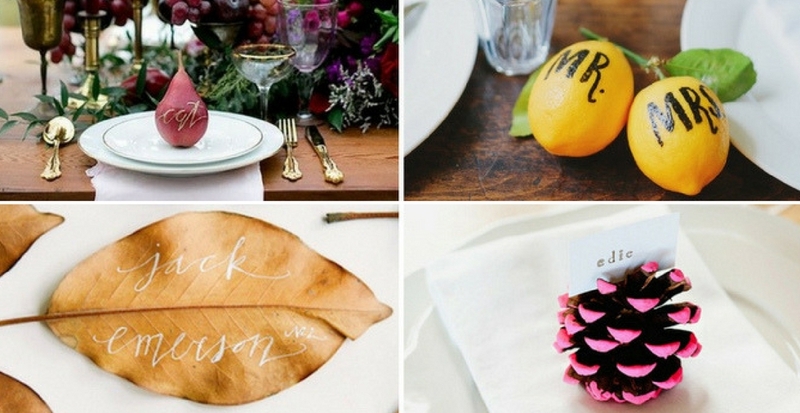 There's no doubt about it, being willing to DIY will slash your wedding decor costs. When you buy something outright, you're paying a high price for labour. By doing the labour yourself, this cost is removed. 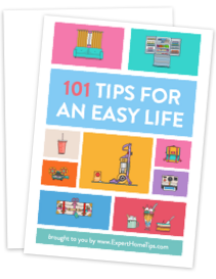 Paying extra for convenience may be tempting, but I really encourage you to consider crafting yourself. There are so many cheap wedding decorations you can make youself - DIY doesn't have to be complicated. It can be as simple as blowing up balloons at home instead of paying for them to be filled. Alternatively, you could decide to go all out with paints and glitter the choice is yours. The two examples above showcase what cool creations can be made with a little time and effort. Surely the most special day of your life is worth a little TLC? 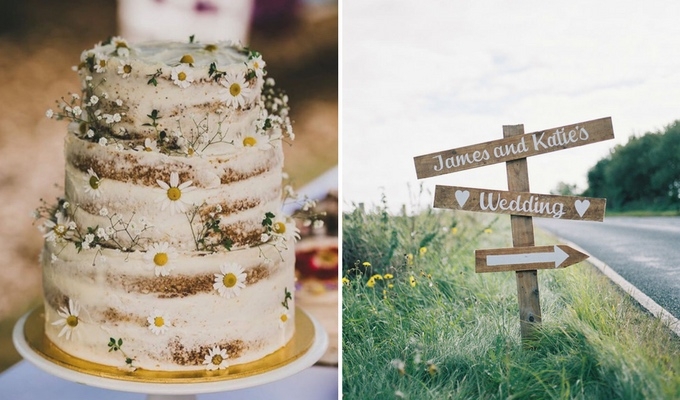 Are you hosting your Big Day in a countryside location? This is great news for your budget! A countryside theme is easy to work with. 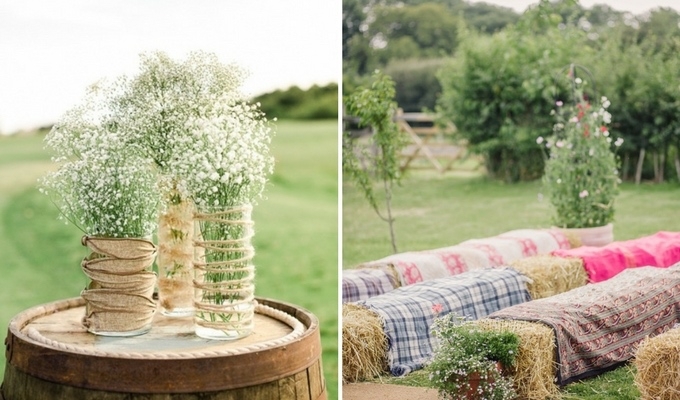 Hay bales, twine and rope are things that probably already exist at your venue - make use of them. Embrace the countryside setting around you, and you'll be able to save loads of money on your wedding decoration. Now, this one really is easy. We've all appreciated a glorious fruit bowl in our time, but have you ever considered using fruit as cheap, wedding decor alternatives? There are so many fruits available these days that you're sure to find one to match your theme. Lemons are great with a rustic, beach look, while pomegranates and red apples blend elegantly into a more extravagant theme. 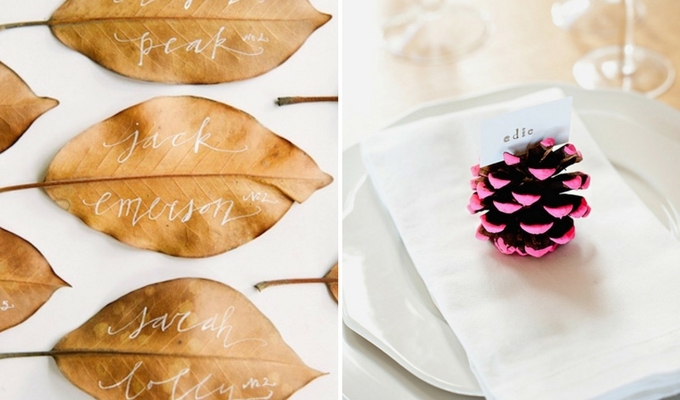 Add some calligraphy for an extra personalised touch to this low-cost decor idea. Love treacle-sponge pud and baked beans on toast? If so, you're in luck. Cans from your kitchen make the quirkiest flower holders. They also go great with delicate, 'low-cost' flowers, as showcased above. You can even bunch them together to create gorgeous, DIY centrepieces. Add a tied ribbon or a twine bow and you're all set! 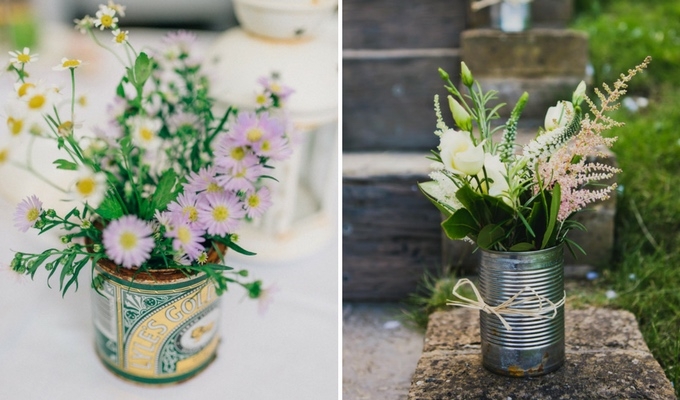 This is the kind of wedding upcycling that will really impress your guests. Balloons are relatively cheap, until you start filling them with helium. 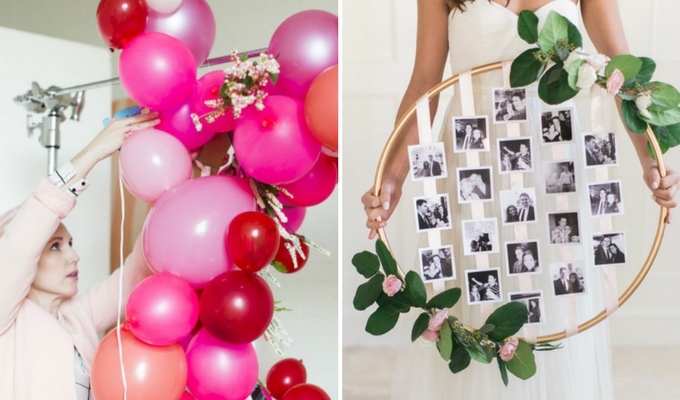 With this in mind, wedding decor costs can be kept low by using balloons in alternative ways. 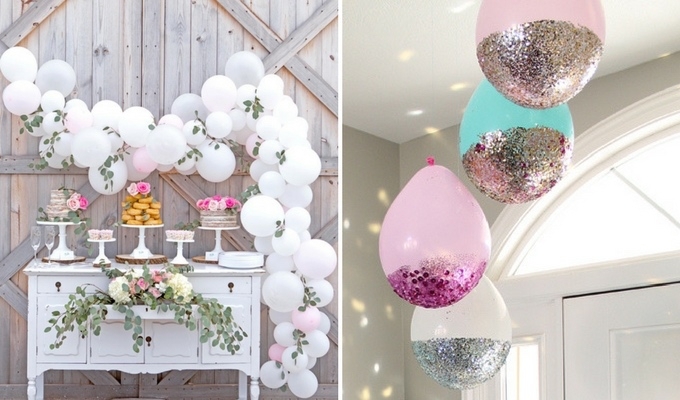 Balloon arches are having a massive moment. As you stick them onto an existing structure to form the desired shape, there's no need for helium. Another novel idea to save on the gas is to hang your balloons upside down. These balloons by My Sister's Suitcase are so pretty, and would brighten up any wedding ceiling. Who needs flowers, anyway? If you're opting for a more minimalistic or rustic theme, greenery is all you need. 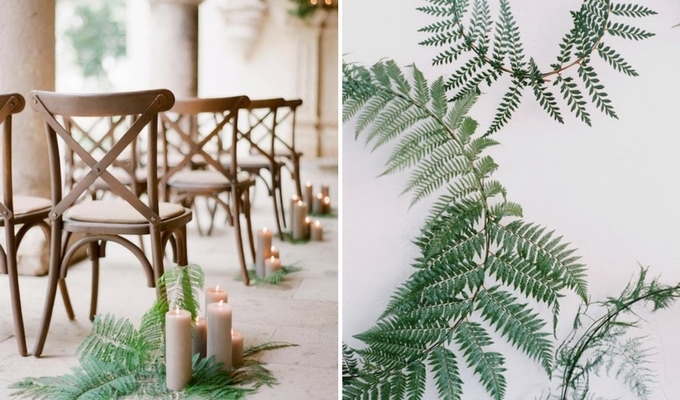 Ferns are a great option - they're extremely cheap wedding decor, and look so elegant. They go great with dark woods, creams and whites, and also help to bring the outdoors inside. When you're contemplating what wedding flowers to go for, remember the ferns too for a cheaper option! 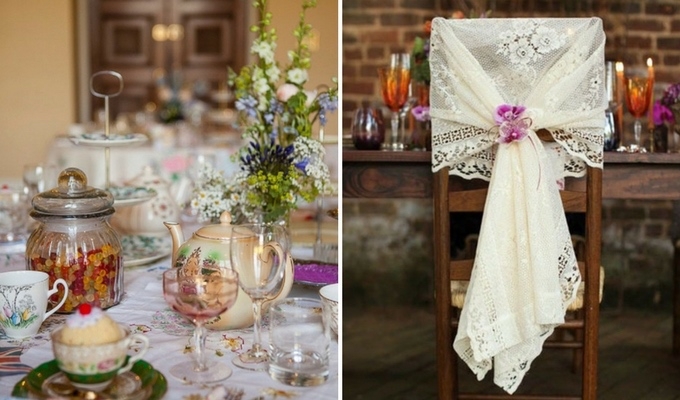 Similarly to a rustic theme, opting for a vintage-inspired wedding day will make wedding decor cheaper. Vintage is meant to look old, and tired too. 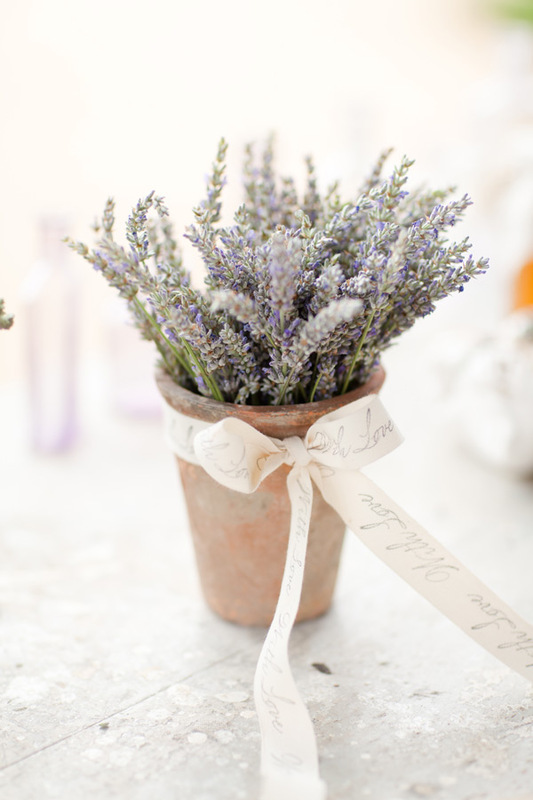 This means that your wedding decor needn't look perfect. You can pick up loads of cheap vintage wedding decor from charity shops and car boot sales, which certainly won't break the bank. 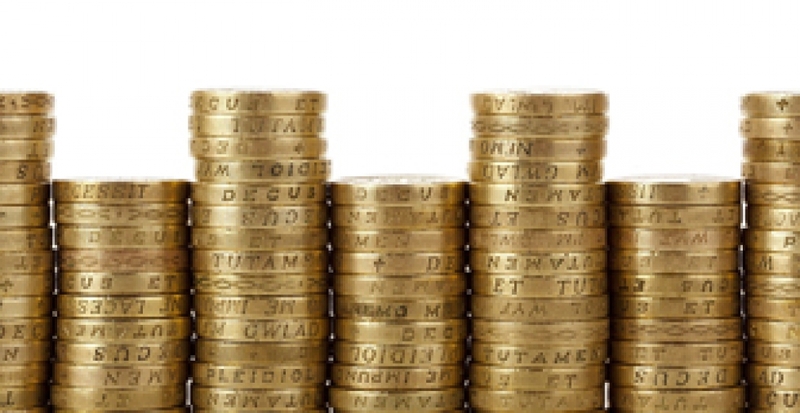 Don't get bogged down in the costs of your wedding. Decor is something that relatives will definitely be willing to help with. 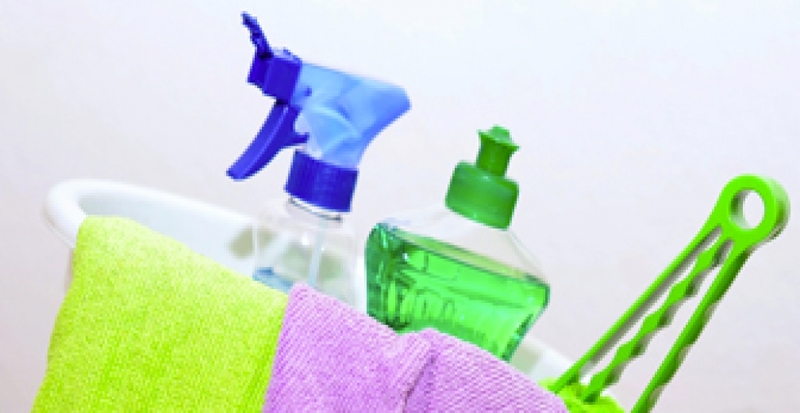 Be a bit less adamant that everything must match, and your relative's bits and bobs will look great scattered around. From silverware to vases, and chairs to bowls, donated decor will add an authentic, charming touch to your low-cost wedding decor. Another great way to keep wedding decor costs down is by creating a seasonal theme. I've already mentioned that taking inspiration from nature will help keep costs low - a seasonal theme means you can fully embrace this. What about a Halloween theme, fit with £1 pumpkin centrepieces, or maybe a Winter wonderland theme strung with Winter berries? Either way, the changing, seasonal nature around you is all you need for a beautifully decorated day. If in doubt, stay simple. Not only will this make decorating your wedding easier, but it will be much cheaper too. 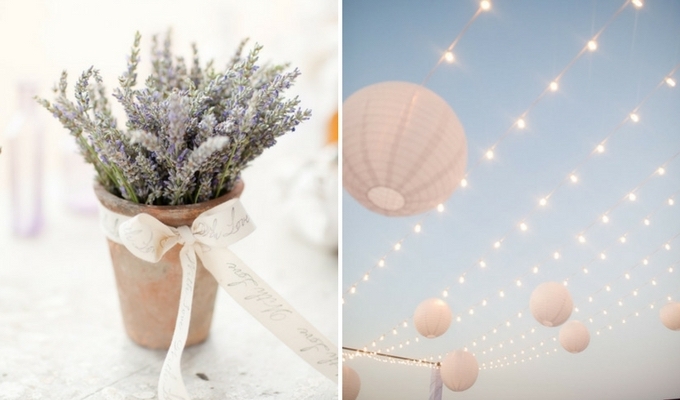 Focus on a few, low-cost decorations you can recreate around your wedding venue. By working with your budget instead of trying to produce something out of reach, the results will be much more effective. It's your Big Day, and nothing is off limits. Take a little inspiration from Alice in Wonderland, and get a bit wacky with your wedding theme. By embracing your creativity and imagination, you'll be able to turn everyday objects into cheap wedding decor that will truly wow! 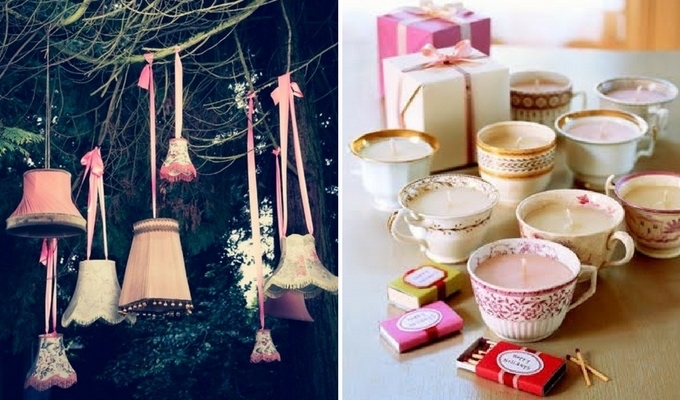 Lampshades, tea cups, keys, pot bunnies - hey, anything goes! 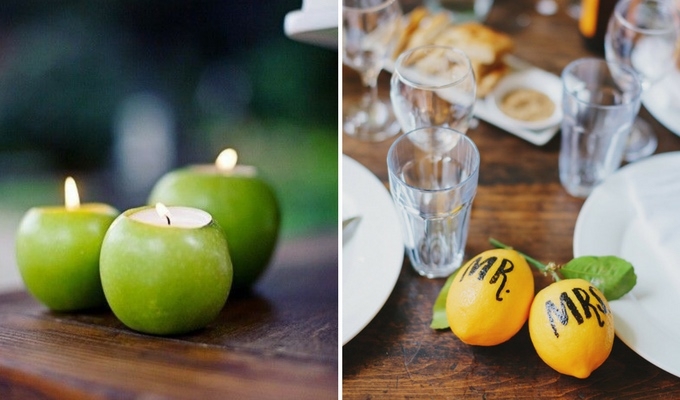 If you want more unique ideas, read Colleen's 23 unusual wedding ideas for an extra special day. All this wedding talk has got me wanting one of my own! If you're planning one of your own, I'd love to hear about it in the comments below.